Grace PCA is a body of believers in Christ, called to praise and worship our great God, to biblically equip and edify one another unto spiritual maturity, and to live unto the glory of God in godliness and holiness, impacting Duluth by proclaiming the gospel of the grace of God. We are pleased to announce we have added an evening worship service from 6-7pm every first Sunday of the month. Grace PCA is hosting the 111th stated meeting of the Siouxlands Presbytery, Septermber 28-29. We are studying the Westminster Larger Catechism. 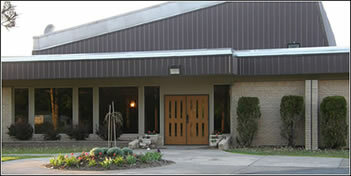 We are currently meeting in an SDA church building located at 3210 Decker Road, Duluth, MN 55811. We invite you to join us on Sunday mornings. Public worship on the Lord’s Day is the high point of our week as a church. We value the beauty and simplicity of Christian worship and the expository preaching of the Word of God. We hope that you will experience warm Christian fellowship, joyful and reverent worship, and a sense of God’s presence and grace. To see our Welcome Video and other Videos produced by Grace Presbyterian Church, please visit our YouTube Channel. Grace Presbyterian Church | © 2019 | 23 West Central Entrance, #332, Duluth, MN 55811 | Phone: 218-349-3535 | Website Design: Lightway Web Services, Inc.